If you're hunting for a casual yet stylish look, consider wearing a black blazer and black skinny jeans. Both garments are totally comfy and will look fabulous together. Choose a pair of black leather high top sneakers to make the outfit current. If you're searching for a casual yet stylish outfit, consider wearing a Chalayan signature fitted jacket and black capri pants. Both pieces are totally comfy and will look fabulous paired together. Up the cool of your ensemble by complementing it with black suede pumps. 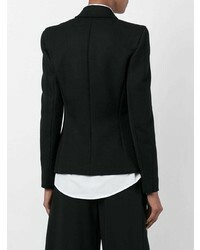 If you're after a casual yet chic outfit, consider pairing a Chalayan signature fitted jacket with black skinny jeans. Both items are totally comfy and will look fabulous paired together. Break up your look with more casual footwear, such as this pair of white leather low top sneakers. If you're after a casual yet totally stylish getup, go for a black blazer and a blue denim button skirt. Both pieces are totally comfy and will look fabulous together. A pair of dark brown leather pumps adds more polish to your overall look. 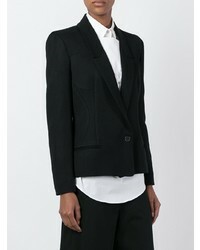 If you're after a casual yet totally chic look, pair a Chalayan signature fitted jacket from farfetch.com with blue skinny jeans. Both items are totally comfy and will look fabulous together. A pair of white low top sneakers will be a stylish addition to your look. 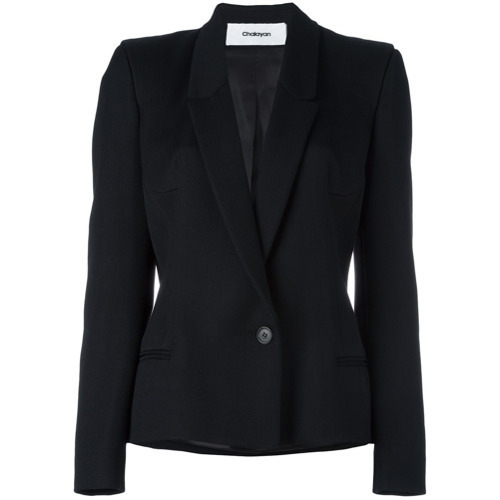 If you're looking for a casual yet absolutely chic ensemble, pair a Chalayan signature fitted jacket with black dress pants. Both pieces are totally comfy and will look fabulous together. Black leather pumps are a good choice to complete the look. 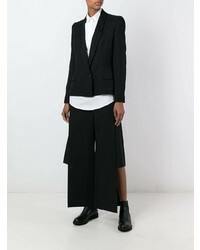 If you're on the hunt for a casual yet absolutely chic getup, choose a Chalayan signature fitted jacket from farfetch.com and blue boyfriend jeans. Both garments are totally comfy and will look fabulous together. 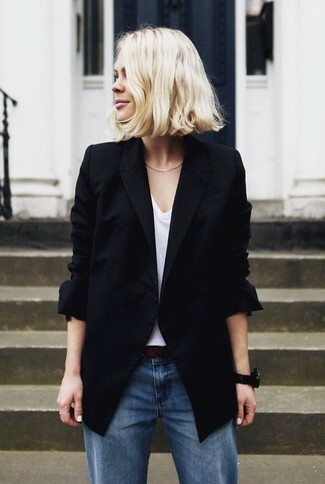 This combo of a black blazer and black skinny jeans is effortless, absolutely chic and oh-so-easy to replicate! If you're in search of a casual yet stylish getup, rock a Chalayan signature fitted jacket with blue boyfriend jeans. Both items are totally comfy and will look fabulous paired together.